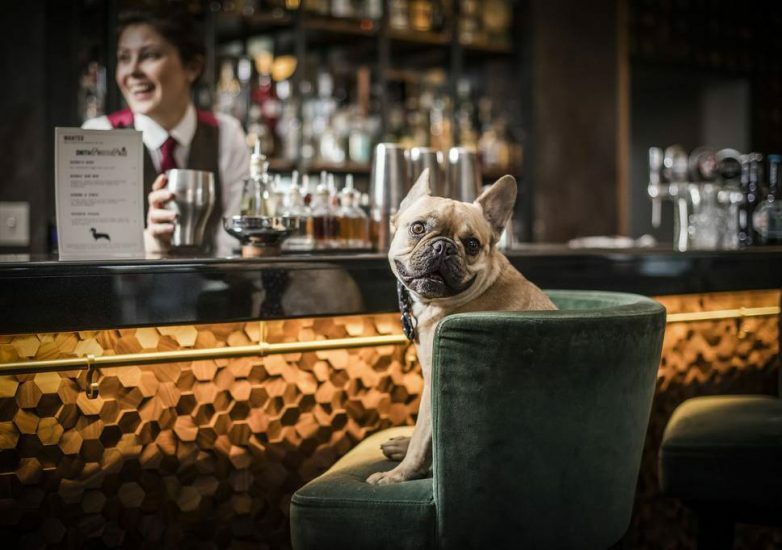 For National Pet Month this year, Mayfair based bar Smith & Whistle have created a new cocktail menu specifically for our four legged doggy friends. 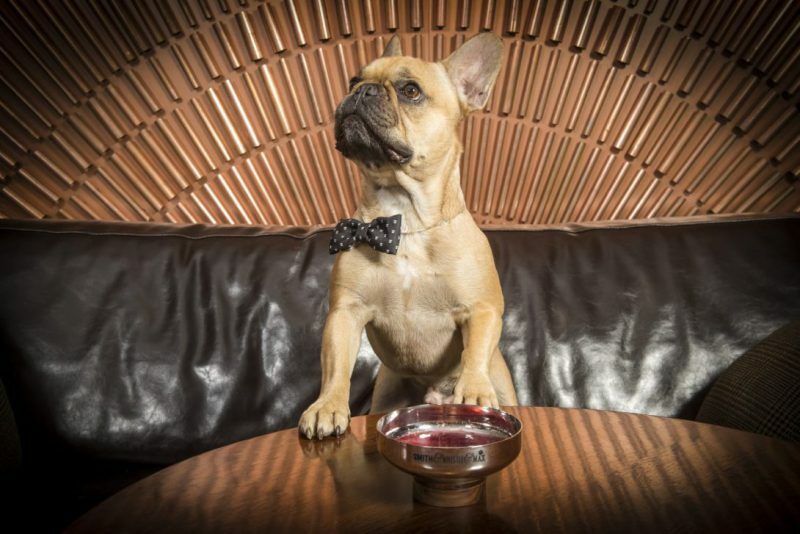 The “dogtail” menu was put together in consultation with canine nutritionist David Jackson and includes the “Bubbly Bow Wow”, a mix of dog-friendly prosecco along with liquidised blueberries and the “Poochie Colada”, a blend of kale, broccoli and coconut water. 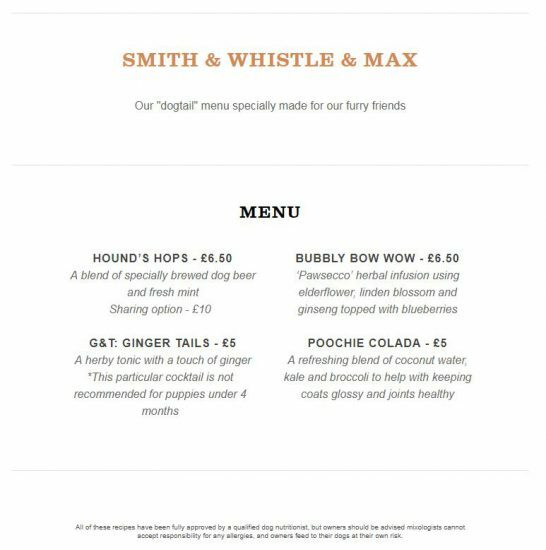 During this month the bar will also see its moniker change to Smith & Whistle & Max in a nod to last year’s most popular dog name of choice. Along with the rise of dog-friendly restaurants, this is a further step forward for those of us who want to share all aspects of our lives with our fluffy companions.